NetZero, a brand best remembered for giving away dial-up Internet service around the turn of the century, is back with a new offer of free wireless broadband. 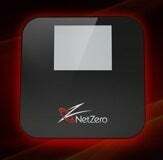 The new NetZero service runs on Clearwire's WiMax network and includes 200 MB of data per month for up to one year. To sign up, users must purchase either a $50 USB stick or a $100 wireless hotspot and pay $20 shipping and handling for either device. Unlike the old dial-up service, NetZero's free wireless Internet is ad-free. According to GigaOM, parent company United Online is operating the free service at a loss, hoping to lure customers over to its paid data plans. A basic paid plan costs $10 per month for 500 MB. Higher tiers include $20 per month for 1 GB, $35 per month for 2 GB and $50 per month for 4 GB. There are no contracts to sign, and service shuts off when users go over their limit, so they don't get stuck with overage charges. Still, for the two highest tiers, major wireless carriers such as AT&T and Verizon Wireless offer an equal or better value, so NetZero's paid service only makes sense if you're not using a lot of data. As for the free service, it may be worth considering if you're traveling a lot in the year ahead, but check the coverage map on NetZero's Website first. Also, keep in mind that if you switch to a paid plan during those 12 months, you can't go back to the free service. Just in case you're wondering, NetZero still offers up to ten hours a month of free dial-up. It might be worth it just to hear that beautiful modem sound again.